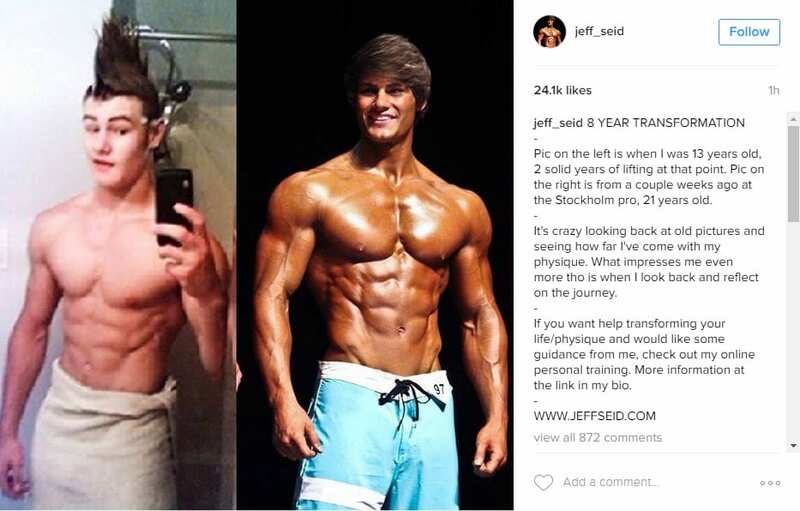 Jeff Seid has always been a polarising figure in the world of bodybuilding. He is only just legally able to drink and he has a haircut that wouldn’t be out of place in a boy band from five years ago. 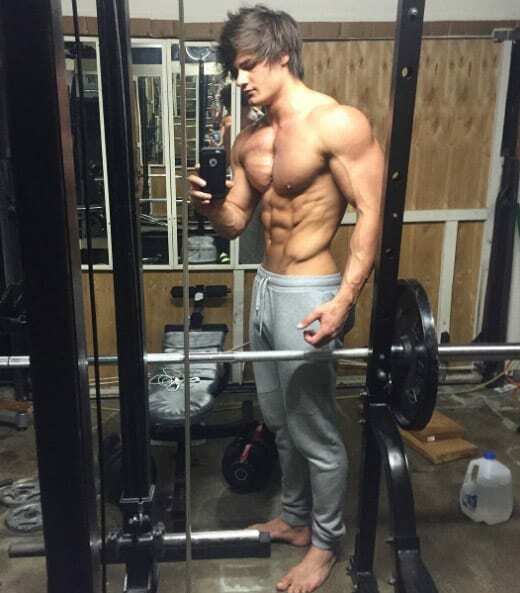 This has not held him back from being successful in the world of fitness. It seems like he has been always around and you can see a transformation pic he recently posted that shows his transformation over these years. In the initial picture, Jeff weighs only 120 pounds. After 8 years, he looks fairly similar but a bit larger. In the first picture he had already been lifting for two years, he has about a decade worth of lifting under his belt now. In high school he played a number of different sports, such as baseball, track and field and wrestling. Wrestlers are known to have crazy work ethics, toughness and durability. These are all attributes that have stood Jeff well in the fitness world. Haters will always hate, but at the age of 21, he has already carved out a nice career for himself and an amazing personal brand. He has many years to go before he even reaches his peak.